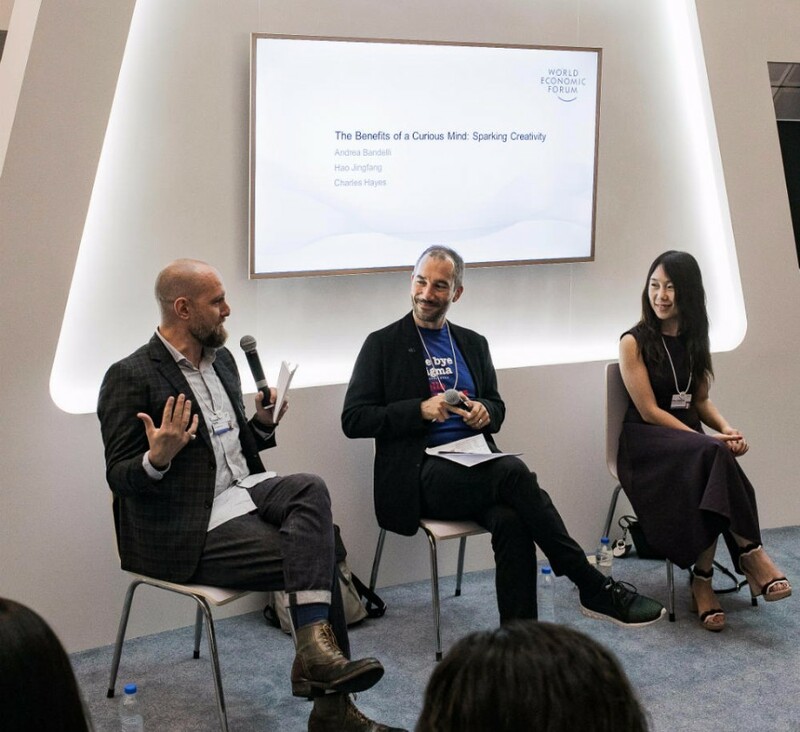 At the end of June Science Gallery International had the extraordinary opportunity to present an exhibition and provoke debate at the World Economic Forum’s Annual Meeting of New Champions – known as the ‘Summer Davos’ – in Dalian, China. This is our second partnership with the Forum, having participated in Davos in January this year. 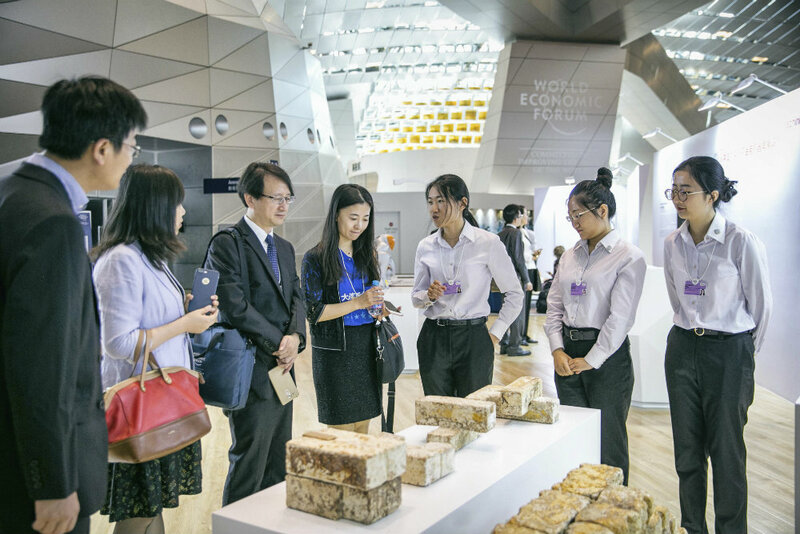 The Annual Meeting of New Champions is the foremost global gathering on science, technology and innovation, bringing together the next generation of fast-growing enterprises, and leaders from major multinationals, government, media, academia, civil society and the arts. The theme of the meeting was ‘Achieving Inclusive Growth in the Fourth Industrial Revolution’ (4IR). 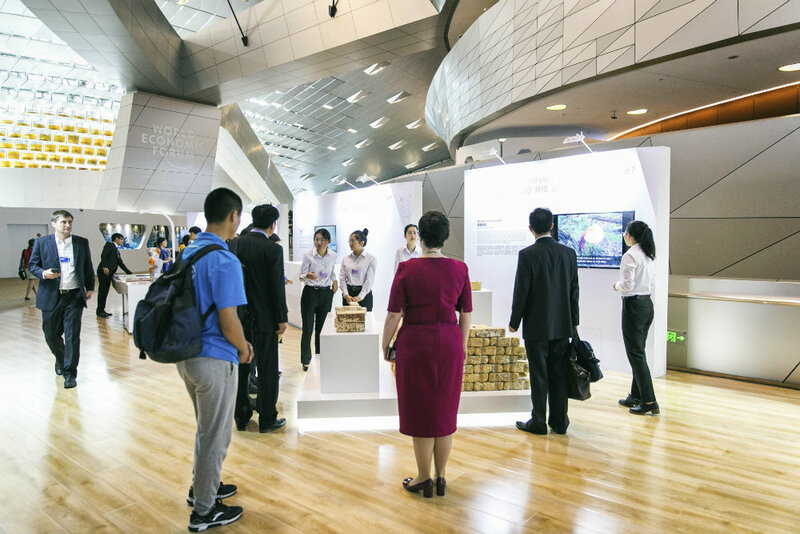 With the support of Wellcome, we co-curated a special exhibition with the Forum: the 4IR Bio Lab. 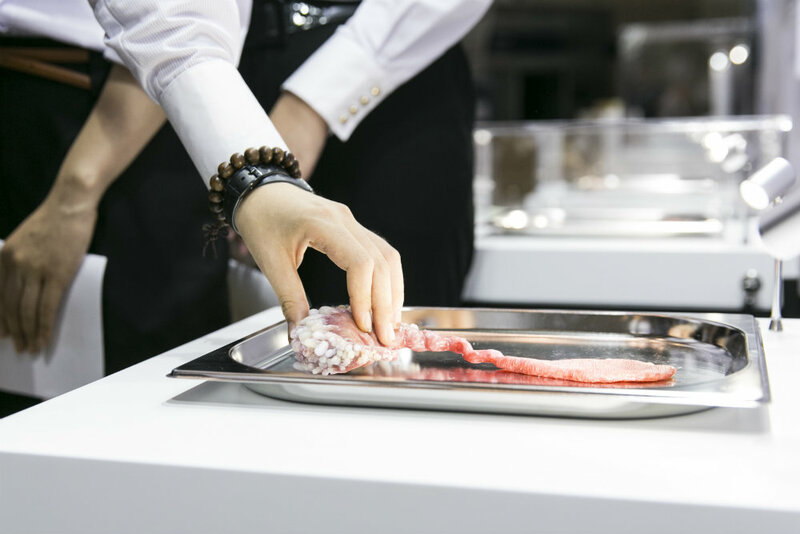 The exhibition brought cutting edge science and pioneering technology together with artists’ inspired conceptions of the future, with exhibits ranging from life-saving human-eel hybrid organs to genetically engineered bacteria that can diagnose cancer. We had a phenomenal response from the participants, stimulating fantastic dialogue on how we navigate the challenges of the future. The Science Gallery model not only allows us to imagine the future so that we can interrogate it now, it is also a great example of how vital STEM skills can be brought together with experiential learning to enhance creativity, problem formulation and resilience. Our Executive Director Andrea Bandelli describes why we need an experiential approach in education in this article published by the Forum to coincide with the Meeting. Science Gallery was invited to give the Meeting’s opening remarks to the Forum’s Young Scientists community, as well as to the participants from the Expert Network, the Global Future Councils and the Global University Leaders Forum – four influential communities that shape the agenda of the World Economic Forum. This is a real testament to how the Science Gallery model is gaining currency with those concerned about delivering an inclusive, innovative future for all. Our global network continues to grow: SOUND CHECK, Science Gallery Dublin’s summer exhibition is drawing record numbers; BLOOD will open in Science Gallery London and Science Gallery Melbourne later in the summer; Science Gallery Venice recently announced Ariane Koek as their director, having formerly been the Inaugural Director of the Arts at CERN program; Science Gallery Bengaluru will announce their director in the next month; and Science Gallery Lab Detroit is well underway for their opening activities in the fall. 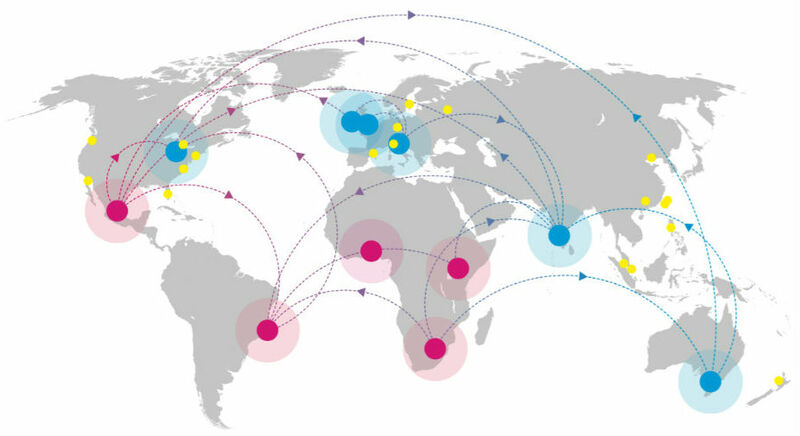 Our aim is to reach 3M people every year by 2020 by expanding our network, particularly in the Global South. Key: Science Gallery Network members in blue, prospective Science Gallery Labs in pink, touring exhibitions in yellow. We could not have built this thriving network without the initial founding gift from Google.org, and our Phase II supporters The Human Dignity Foundation and the Cordover Family Foundation. We look forward to Phase III, and to partnering with new donors who want to make a truly global impact on education and skills for the next generation.